Trackies and heels, a look I’ve been known to wear before. I busted it out about four years ago wearing a crop, adidas black tracksuits and some heels to a club. The comments back then was “Oh wow I couldn’t wear that”. However, this didn’t bother me too much. I am all about embracing your own style and just being me. Today street/sports luxe styling is widely accepted with with celebrities leading the way. 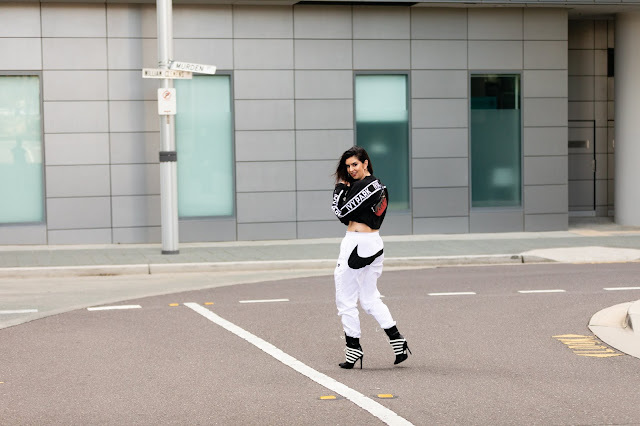 The Hadid’s, Kardashian’s, Jenner's and Rhi Rhi are a just a few who give dressing up trackies the stamp of approval. I’d be interested to see how long it’s going to take us to go full circle with the velour trackie trend of the 90s! I’m not entirely sure how I would feel about this. 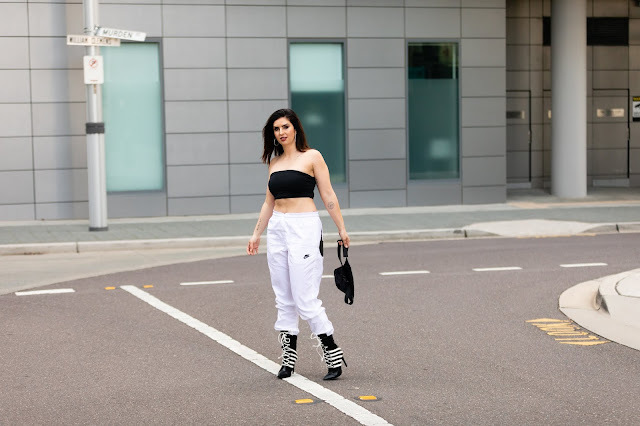 Wearing this look I totally felt like Jenny from the block. 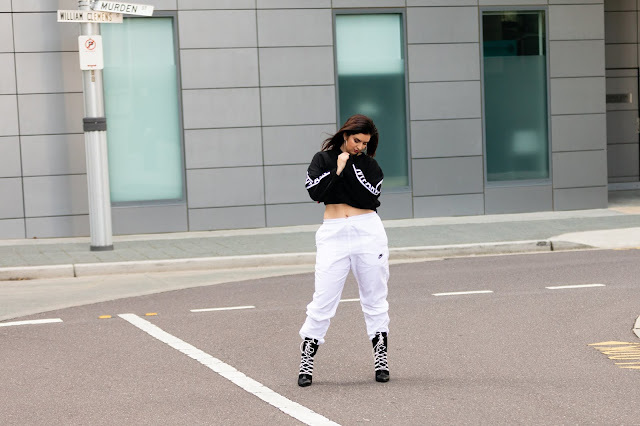 For this look I opted to wear a bandeau with my favourite Ivy Park jumper. With our unpredictable weather you need layers! 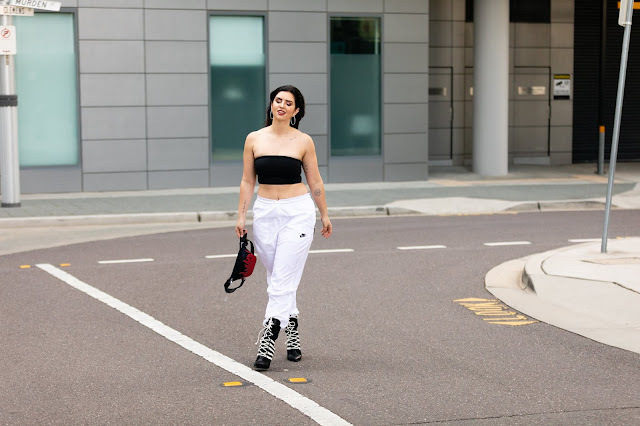 My statement white trackies are awesome (but challenging as I am the messiest person alive) and the statement boots are cheapies from Pretty Little Things. You've got $100 left before pay day? !